NVIDIA GeForce GTX 560 Ti is a Display Adapters device. The developer of this driver was NVIDIA. The hardware id of this driver is PCI/VEN_10DE&DEV_1200. Download the setup file for NVIDIA NVIDIA GeForce GTX 560 Ti driver from the location below. 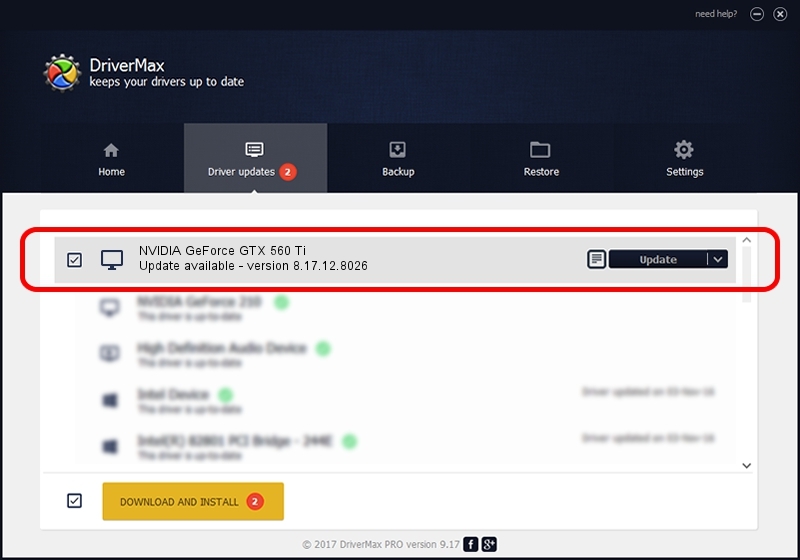 This download link is for the driver version 8.17.12.8026 released on 2011-08-03. This driver received an average rating of 3.4 stars out of 72823 votes.